This resource aims to improve student intelligibility by teaching them the basic principles of English pronunciation. 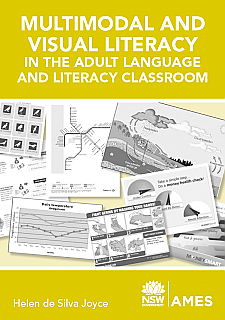 Multimodal and Visual Literacy in the Adult language and literacy classroom - This resource aims to assist teachers to systematically integrate a focus on multimodal and visual literacy into their programming and classroom practice. Beach Street 1 is a general English course designed for beginner to post-beginner level students of English. Beach Street 2 is a general English course designed for intermediate level students of English. This video resource consists of 13 lessons for beginners. The drama segments follow an immigrant coupleâ€™s daily activities and authentic language provides listening and speaking practice in context. Learning points are explained by a Chinese bilingual teacher. 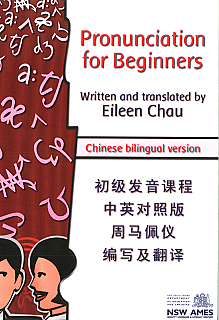 The workbook provides a range of communication activities with bilingual instructions, glossary and tapescript. 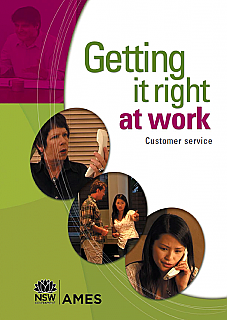 This resource focuses on face-to-face and telephone communication with external clients. It is designed for use by students at CSWE IV (or equivalent) level.